Remember the Ubuntu Edge, the Canonical creation that set out to earn $32 million (about £20.8m, AU$34.5m) on Indiegogo but fell very short? Well, the company is back at it again, though this time it's maneuvering a slightly different route to deliver the Ubuntu mobile platform to the public at large. "We have concluded our first set of agreements to ship Ubuntu on mobile phones," Canonical founder Mark Shuttleworth told CNET. "We've shifted gears from 'making a concept' to 'it's going to ship.' That has a big impact on the team." Shuttleworth stayed quiet on who its initial phone partner is, but said that Canonical is on board to deliver its Ubuntu Touch OS to a handset. High-end devices running the Linux-based operating system should be available next year. The good news for Ubuntu supporters doesn't stop there. Shuttleworth said several board-level discussions are underway at other hardware makers. And not just Joe Smartphones; Canonical is chatting with "four household brands" that "sell a lot of phones all over the world" to both businesses and consumers. 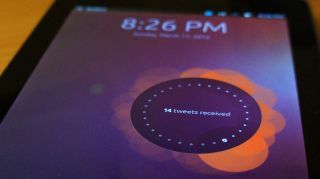 Ubuntu Touch has been available for install on Nexus devices, but 2014 would mark its arrival on a native machine. The OS is essentially a mobile version of Ubuntu for desktop. When docked to a desktop monitor, Ubuntu Touch can launch as a full-fat system. Get to know Mark Shuttleworth a bit in this in-depth interview.